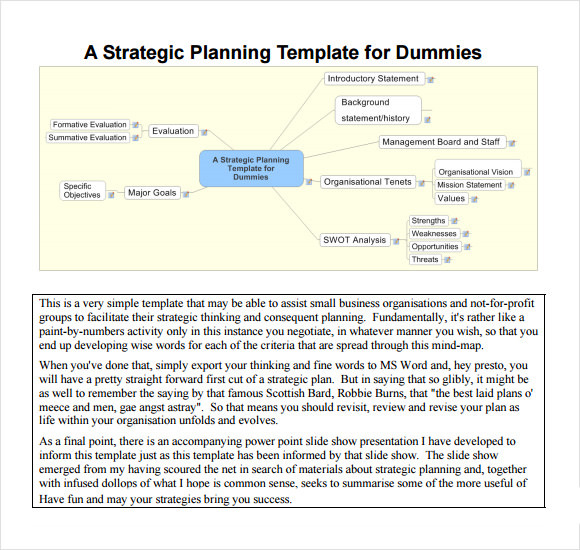 Plan templates are useful to work with in workshops and business meetings. The plan template for business help in organizing the business ideas properly and laying bare the business plan before the employees in a clear and concise manner. The plan template also help in putting an action plan into words with clear indications of the strengths and weaknesses of the company or individual. There are many Sales Plan Template that are available for download in various formats such as excel and pdf. There are various types of plan templates available for various purposes that have been designed to make the life of planners easier. 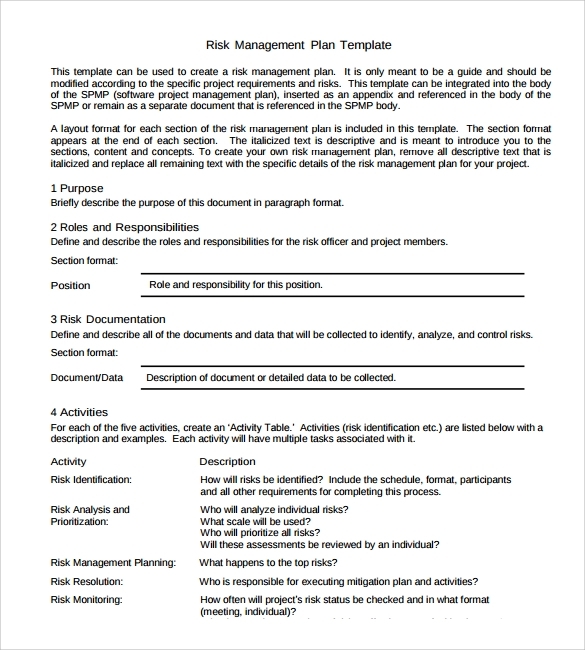 The Risk management plan template is used to create a plan that can cost effectively perform risk management for a project. The plan encompasses all the aspects such as risk identification, evaluation, management steps and other methods to control risk. The template is useful for developing such a plan. This template is very useful for teachers. The template outlines the various aspects of lesson planning such as content of the lesson, instructional procedures, evaluation procedures, teaching materials that support the lesson and the questions that are designed to the test the knowledge of the student regarding the lesson. The disaster recovery plan aims to respond effectively to an emergency or disaster that negatively affects the operation of a business company or any other organization. This template is designed to include the goals of the plan succinctly and the names of the data processing personnel. 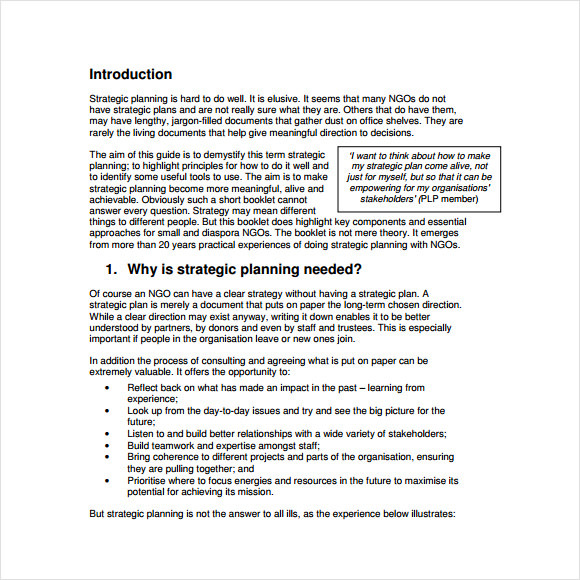 Strategic Planning template guides the planners through the essential aspects of a strategically sound plan. 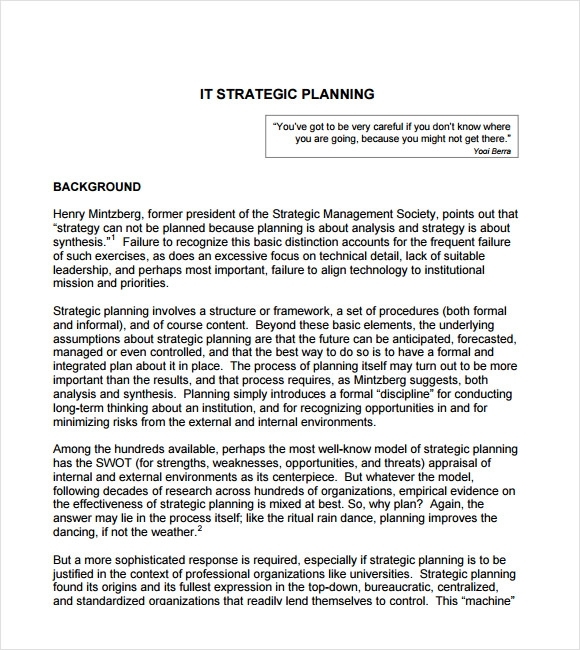 The various pillars of strategic planning that is present in the template include defining of vision and goal, defining the important areas of the organization that need a lot of focus, setting of organizational goals, defining the indicators of success of the strategy and detailed goals that can be entrusted to each individual in the organization to complete. 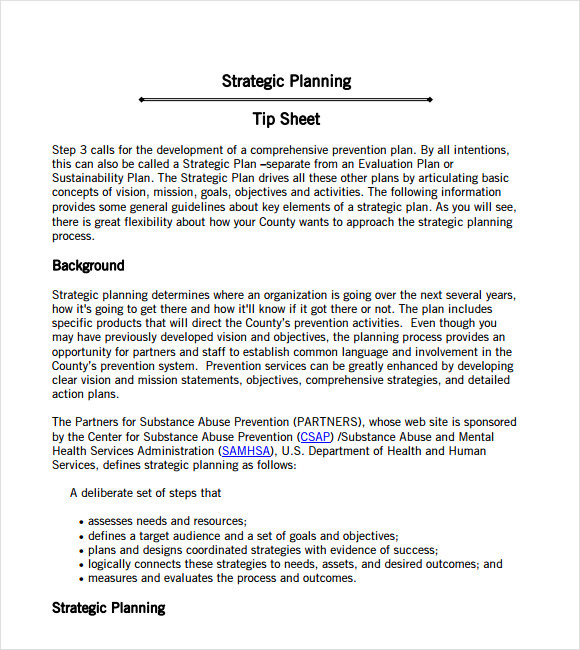 The vision of the Care Plan Templates and the mission statement, form the central part of the strategic planning template. The Strategic business plan template is very useful for business planners to clearly state the strategy that needs to be adopted by the company to increase profits in view of the current market condition and in the future. It defines methods and goals that the company must adopt and achieve to stay alive in the market. 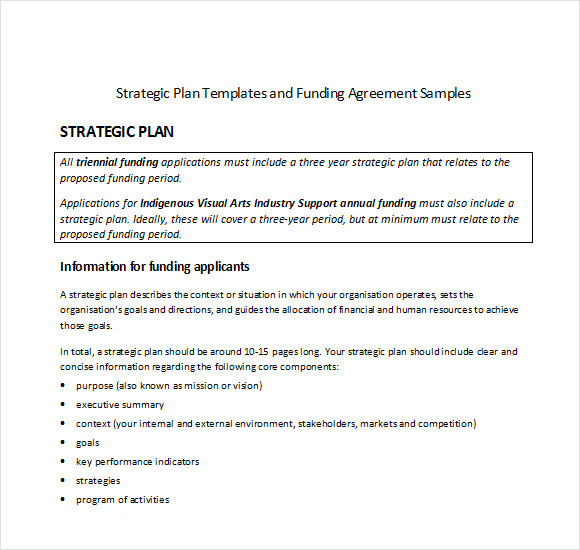 Strategic planning template for nonprofits is useful for nonprofits in achieving their mission. Using the template, the staff and board analyze the organization’s ongoing strategy, clearly define goals, identify the priorities and assess strength and weakness. 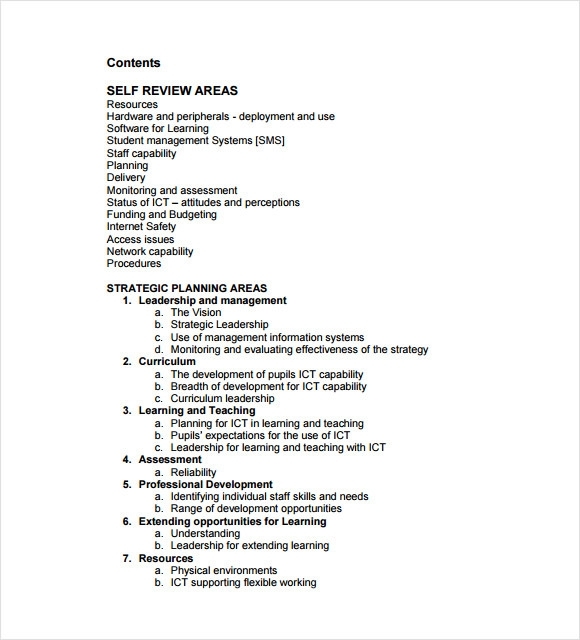 Strategic plan template for schools helps the school management in chalking out a plan to take the school forward in the coming years and outline a central vision of the school. Strategic planning is essential for businesses to grow and combat the intense competition in the market. Using the strategic plan template, the companies can create an efficient strategic planning process to either uplift or consolidate the strong position of the company. 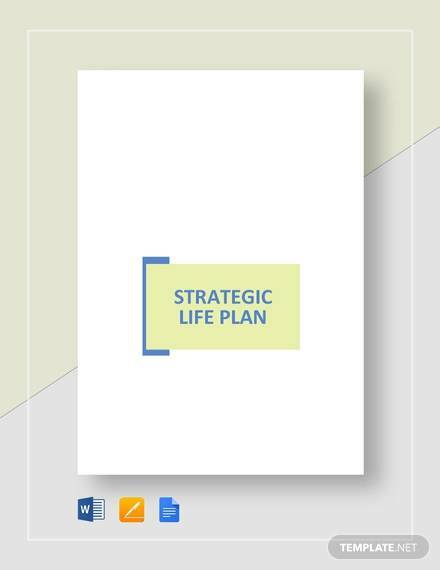 A strategic plan outline is present in the template that effectively breaks down the various points that are essential for a strategically sound plan for various organizations from businesses to schools. The template is immensely useful for strategists to create a professional plan that can be presented to the employees for discussion. 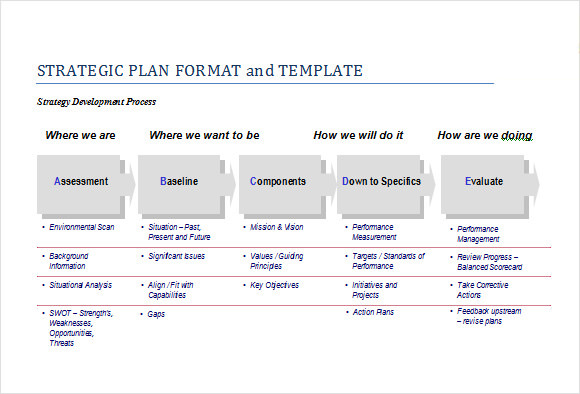 Strategic plan template is available in various formats such as strategic plan word template format and excel format. They can also be downloaded in pdf formats. There are many online sources where such template can be downloaded free. Strategic planning is much more easier with this template.